Silly Little Grasshopper, That Rowboat’s for You! | Choose Your Energy: Change Your Life! ← I’m a Blogger! I Blog! Silly Little Grasshopper, That Rowboat’s for You! Yes, this is my second blog in two hours. All the zeal of the newly converted. But I promise it will be worth your time. Self-absorbed egomaniacs who feel compelled to force themselves on the rest of the world. Pitiful, shy people who only feel safe interacting with humankind anonymously. Yet, despite my brilliant arguments against blogging or at least against me blogging, my friend and marketing professional, Barbara Kay Escher, persisted in her efforts to help me get over the hurdle. She kept saying, “I know you, once you do it, you’re gonna love it.” It’s true, she does know me. She knows me well. But she didn’t know the real block (and neither did I) until I started to cry when she told me I’d love it. 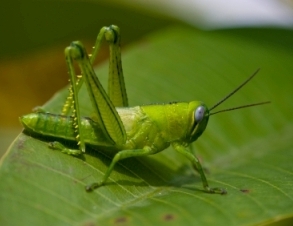 (Ah, Little Grasshopper, classic indicator you’re “in the Hood” of a Big Life Lesson.) So I began to understand this wasn’t a mind problem, it was a heart problem. One day, deep into a Barbara-blog debate, I went inside (core life skill #1), tapped into my tender, wounded heart once again, and started sobbing, “I’m afraid. I’m afraid. I’m afraid.” And there, my friends, is the crux of the matter. There, my friends is the crux of most of the pain and frustration we create for ourselves in our lives (core life skill #2). The most insulting four letter f-word I know: FEAR. I wasn’t afraid of helping people spew vile stuff at the Universe. I was afraid I would break again if they spewed it at me. And, thanks to my stepson being grown and out of the house and my husband’s long-term out-of-town work assignment from which he only gets home a few days every three to four months, not to mention a lifetime of abuse at the hands of other wounded people, I am one of those frightened people living alone who isn’t interacting with humanity nearly as much as she once did. ‘Cause what Life and Carol King taught me is that people are dangerous, “They’ll hurt you. They’ll desert you. They’ll take your soul if you let them. So, don’t you let them.” Persistent Barbara suggested the answer to my dilemma was to start with a private-by-invitation-only blog of my nearest and dearest. Little Grasshopper stopped crying, but wasn’t quite ready. Meanwhile, for the past six months, I’ve been struggling to start writing a book about what I’ve learned on my 56.5 year transformative Journey with the belief that there may be insight and encouragement there for others trying to build a life with deep peace, lasting joy and meaningful relationships. But after a lifetime of journaling from the age of eight and a successful consulting career chock full of writing, I had become afraid of that too. Barbara adds to her persuasions that a blog could be a great and painless way to get the darn book written. I saw Julie and Julia, I get that. Still, not quite ready. Then a month ago, having told my husband the day before that I didn’t know how I was going to fulfill my life calling of being a wounded healer to a wounded world, but that it wouldn’t involve taking tests or being judged by anyone (poor wounded Little Grasshopper), I wake up feeling called to Google life coaching certification programs. And smack dab at the top position of the ever rotating list of sponsored Google sites (it’s never come up in that position for me again) is iPEC, the Institute for Professional Excellence in Coaching (www.iPECcoaching.com). Over the next two days, I did some research, talked with their Director of Admissions, paid my eight grand, and signed up for a nine month life coaching certification program that makes boot camp look like a stroll in the park (no sissies here). Writing my first paper – a 33-page review of every minute in my entire life – was sheer, unadulterated TERROR. All the while, Barbara just kept yammering on about blogs. So what happened? Someone loved me enough to keep pushing me outside my comfort zone. And, in a moment of Grace this morning, when I finally stopped resisting and opened my wounded heart once again to one of the endless opportunities life offers us (no problems, no challenges, just opportunities – core life skill #3), I fell in love. Now I know how I’m gonna get that book written – one blog at a time – Baby Steps. We ask for the things we want in our lives and then we fight them because we’re frightened and help doesn’t arrive in the precise form we had in mind. Silly Little Grasshopper, that blog is your rowboat to writing your book, touching lives and loving every minute of it. Are there rowboats in your life right now just waiting for you to get on board? Go find them. Open your heart and receive Universal Bounty. Time for this Little Grasshopper to get a shower, get some lunch and go to the gym. You are loved and loving. You are blessed and a blessing. May you be blessed with many rowboats and the courage to take them. This entry was posted in All My Blog Posts, Authenticity & Purpose, Creativity & Self-Expression, Gratitude, Prosperity & Abundance, Love, Fear & Gremlins, The Power of Sharing Your Story, The Starter Blog Posts and tagged Deborah Jane Wells, From fear to love, How to write a book, How to write your story, Love or fear, What is abundance, What is authenticity, What is creativity, What is fear, What is gratitude, What is life purpose, What is my life purpose, What is prosperity, What is the meaning of life, What is the purpose of life. Bookmark the permalink. 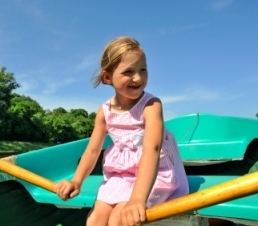 4 Responses to Silly Little Grasshopper, That Rowboat’s for You! Well, little grasshopper – I never ever thought I would converse on a blogging site – but there is always a first, and, as in so many other things, you are a trailblazer for me. I also am impressed with your list of your close and personal family and friends – it’s long. How wonderful to have such a long list. My own boat seems to have become just a little sturdier, notwithstanding the ever-present fear of rejection and being judged. However, as you well know, we often are our own very worst critics – so I am working on that along with so many other issues. Journey indeed. Journey and journal have the same etymological root which I never really thought about until just now when I looked it up in Webster’s dictionary. The passage and the recording of it. And, from what I can glean from the diverse readings I have done, much is about the JOURNEY itself, not the end or outcome. I wish you the best of luck on yours, and I feel privileged to be a part of it in this format. Namaste, little grasshopper and good night. You go girl!! I love it and will read whatever you write. You made my day. After all, life is about a neverending search to find our place in this world. You said something today that made a difference in my life. Blog on, little grasshopper, blog on. I feel really honored to be able to be part of this journey. I know from our book group how insightful you can be( I do miss those discussions.) At 61 I might be in similar places as far as being on a life journey. I can’t wait to read more.